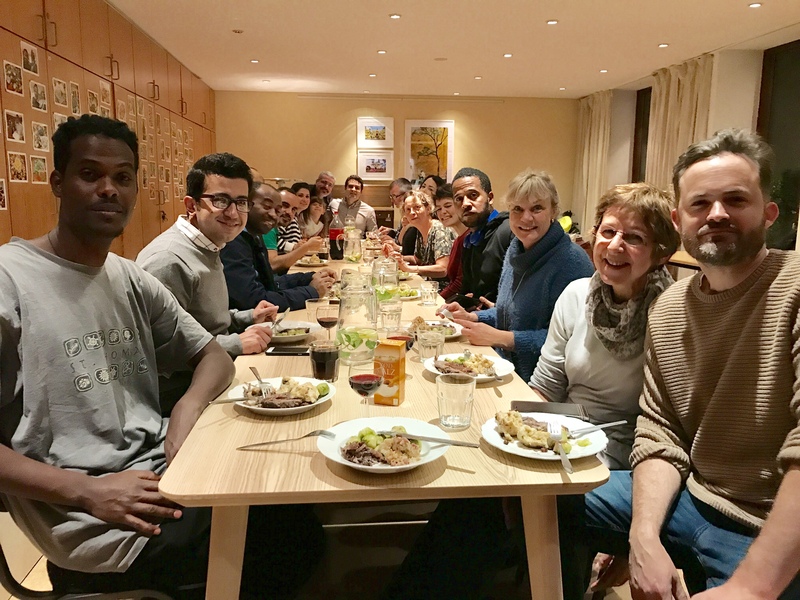 Joshua’s Kitchen is a cooking evening and a community dinner which takes place on the second Friday of every month at 7pm in Daimlerstraße 38. It is an initiative of the Evangelisch-Freikirchlichen-Gemeinde in Hamburg Ottensen (Joshua-Gemeinde). 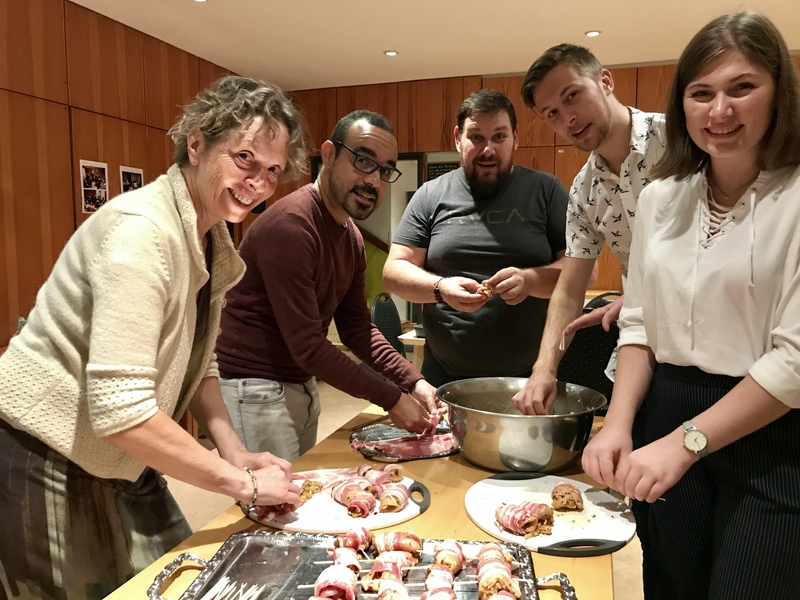 JOSHUA’S KITCHEN is an open meeting place for people of different origins – refugees, migrants and local people, to enable encounters, to reduce prejudice and so to contribute to integration. For this cooking evening, we deliberately invite people from our wider neighborhood, to get to know them, and hopefully to become friends. 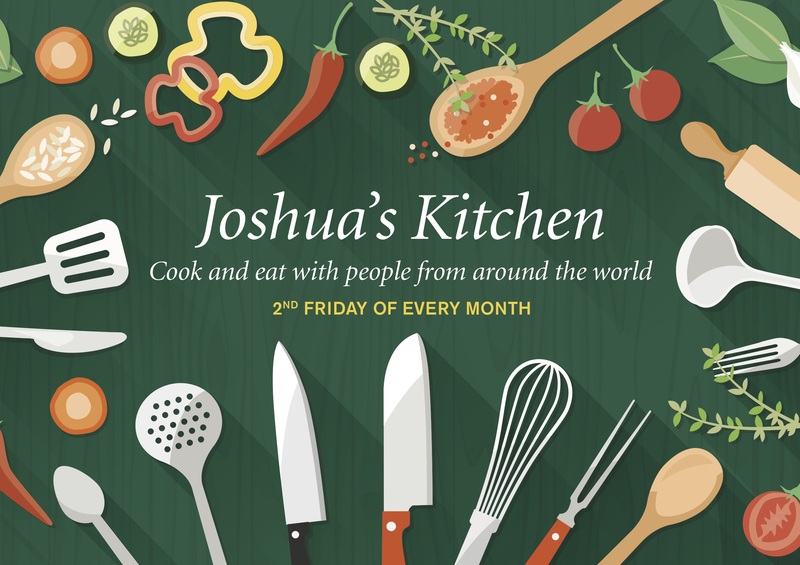 At Joshua’s Kitchen, people from different cultures meet to cook together and have an enjoyable evening together. Our overarching goal, besides contributing to integration and maintaining a welcoming culture in our city, is to make our guests experience the love of God through us in a very practical way. Language is by no means a barrier, but we take it as a kind of challenge, to exercise our creativity and, if necessary, communicate with our “hands and feet”. In order to promote the practice of the German language we are divided into small groups of cooks, wherever possible German speakers are present in each group. During the cooking and after the meal live music is played and sometimes even danced to. At the end of the evening, everyone helps to clean up. Besides the cooking evening, we offer some other opportunity to practice the German language and get to know German culture. Our new friends are very welcome in our church services, and afterwards in the church café they often stay a long time and enjoy getting to know us over coffee and cakes. 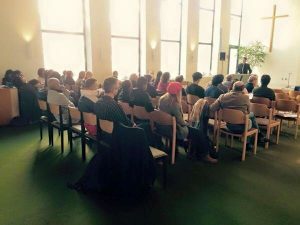 In addition, many come to our weekly Bible discussion evening, which takes place in German with translation to Farsi. So in our church relationships are deepened, trust is built up and we live in community, appreciation emerging as we help each other on an equal footing.